A great candidate experience is brilliant marketing for your company, a bad one is an ongoing black hole for candidates interested in your employers brand. Devastating as that is, it is also vital that you consider the candidate when hiring. Make sure they have a memorable candidate experience when applying for a role within your company from start to finish. Never risk them walking away with a bad opinion of your organization. The reality is candidates expect more. A bad experience with your company could damage your employer brand. 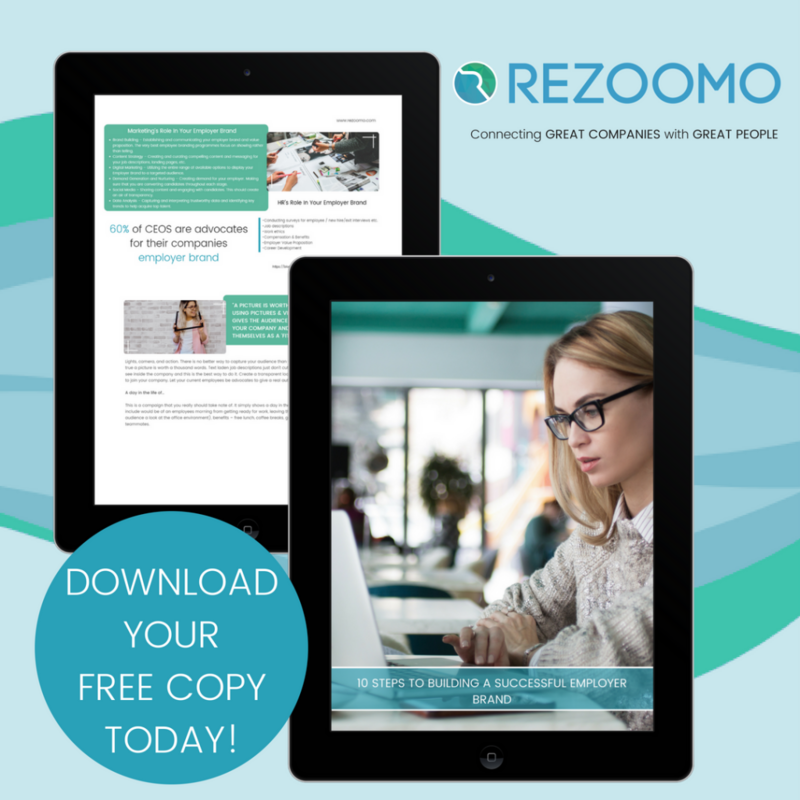 Let Rezoomo help you form winning job descriptions | Promoting your employer brand | Managing your interview process from beginning to end and so many more essential elements. We provide with a platform and all the tools you require to make sure your candidates have a memorable experience.